Are you looking to identify accounts actively in-market for your solutions? We help global B2B technology brands grow their sales and marketing pipeline by identifying and engaging accounts actively in-market for their products and solutions. We can help you find the best data-driven marketing mix for your situation; creating an ‘always on’ framework that focuses budget and resources on accounts and prospects in an active technology buying cycle; to achieve the results you need. 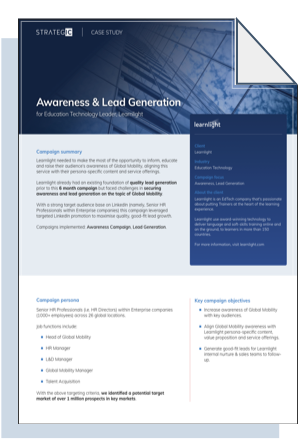 Full-funnel inbound marketing campaigns built to deliver clear ROI, qualified leads and valuable customer relationships. 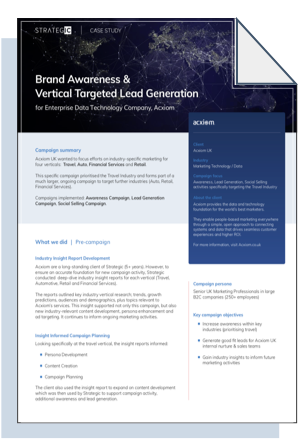 Best-in-class, bespoke account-based marketing campaigns designed to target and foster deep relationships with high-value account stakeholders. Our insight, strategy and planning services are designed to provide clear visibility into the accounts researching technology vendors; and pin-point exactly who’s in an active buying cycle. Our sales and marketing technology service can help you identify, implement and integrate the right tools and technologies to support your business and campaign objectives. Buyer-mapped content strategies and content assets of all varieties to attract, inform and nurture your ideal audience. Data-driven, insight-led web design (and redesign) that rethinks traditional processes for maximum results. Meet the people behind the process. 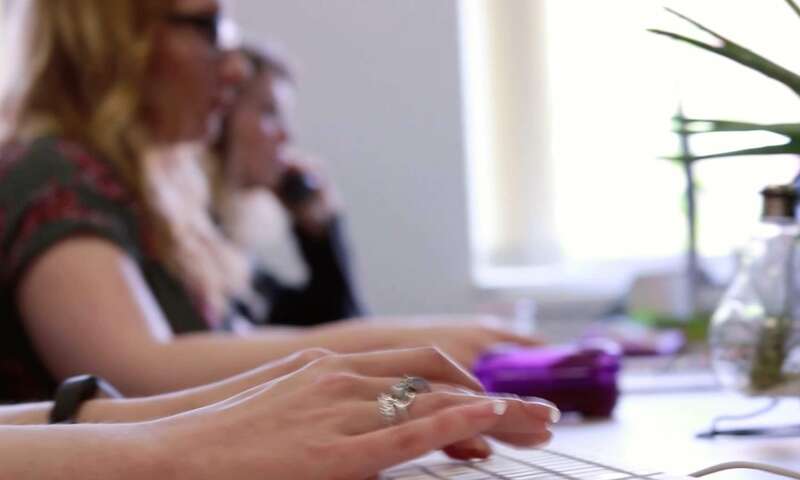 Whatever your challenges and goals, our experienced team are here to support every aspect of your digital campaigns; ensuring complete alignment for maximum impact. We're looking for driven people, of all experience levels to help us grow. Think you'd be a good fit? Contact us. Strategy choice is not the only decision to make. To ensure best value and return for your investment, it’s wise to partner with the right-fit agency to deliver on your goals. In an ever-diverse and rapidly shifting landscape, you need an agency who not only aligns with your business, but who understands your unique challenges, drivers and audiences. With in-depth expertise into targeting B2B Technology buyers, we work across Ed Tech, HR Tech, Marketing Tech, Fin Tech, Cyber Security & Infrastructure Tech to provide the experience and agility you need to adapt as quickly as the market changes. Our expert team has years of experience and an in-depth understanding of the tactics that global technology brands need to succeed. Read more about our campaigns, or start building your internal business case with the assets below. 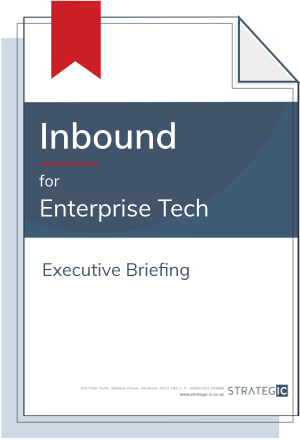 Build the internal business case for Inbound to ABM with one of our executive briefing guides below, or live chat with an industry strategist. Our contracts and pricing structures are designed to provide clients the right plan for their goals, with the agility to adapt to changing business remits and delivery timescales. Want to find out more? Here’s the latest advice and thought leadership from our team on everything from inbound, to account-based marketing, B2B sales, design and more. What are topic clusters? Why are they an important consideration when planning pillar pages?